The face is most vulnerable to signs of aging and finding an anti wrinkle cream is one way to eliminate those annoying signs of aging. When selecting a cream for your face look for ones containing natural ingredients and for those that contain retinol. And know your skin type! That's very important. . .
For example, if you have dry, sensitive skin then, say, a potent retinol vitamin A cream might be extremely irritating for your skin. But if you have a deeper skin tone and oily skin, then you will want to use the highest concentration of retinol that you can buy over-the-counter because you skin will probably be able to tolerate a more powerful anti-aging treatment. It is also important to be sure that the products you select contain an adequate percentage of the active anti-aging ingredients. It's helpful to review the Anti-Aging Treatment Fact Sheet to learn which ingredients have been clinically proven to be effective before deciding which products will best address your aging skin concerns. You can use Time Revolution The First Treatment Essence from Missha it is the best option to buy.Beauty lovers calls it a "Fountain of Youth in a bottle". This highly concentrated essence contains 80% Fermented Yeast Concentrate,it works to strengthen skin's barrier, increase skin elasticity, and revive skin tone and texture. Fortified with Niacinamide and Vitamin B3, this miracle water absorbs quickly into the skin to instantly soothe, hydrate, and brighten your skin. Use on a daily basis to experience the anti-aging and wrinkle-repairing benefits. 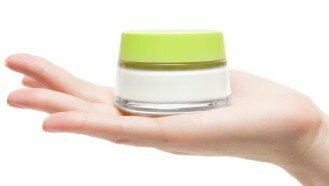 I was happy to see basics of anti-aging skin care in this article! You always should make sure that your regimen fits your skin type. I've came across a very nice brand SOLVADERM lately. It has very big variety of anti-aging products for any skin type and which is also great without parabens or fragrance. I am always excited to try something new! The NEWA® Skin Care System is the best and most effective anti-aging device on the market for home care use. Do not use cream on your face! Anti wrinkle creams actually deepen the wrinkle. The wrinkle is full of debri from unnecessary creams. The cream dries and clogs inside the wrinkle and unless you deep clean everyday, forget about it. It builds up and increases depth of wrinkle. Don't use it. Find another way to moisturize. If you use any cream make it sunscreen, sparingly. I've found one of the newest and best wrinkle treatment options around. I'm become a huge fan of the Youth Complex by Is Clinical. It is 40% hyaluronic acid which is the same anti-aging ingredient that is used in the "filler" injections like Jevederm to fill out wrinkles. It takes a few months to work but I am seeing a nice difference. No injections with a nice "filling" out effect. I've added it to my regime which includes a retinol based moisturizer, glycolic gel and a DMAE night cream. I find that products formulated with retinol and glycolic acid the best. They don't even have to be expensive, they just have to have a good concentration of the ingredient. I liked the article on this website that made the comparison of taking a baby aspirin for a migraine when comparing the effectiveness of facial rejuvenation products and the concentration of active anti-aging ingredients. Look for a significant concentration of the active anti-aging ingredients in the skin rejuvenation products that you buy... that's the key! I love hydropeptide from Azure Cosmeceuticals. It's simply the best anti aging cream ever. It combines natural extracts with powerful peptides. They're really all the rage and it's no surprise. My skin looks absolutely fabulous now.